i'm planning on taking my bike up to san juan capistrano via the pacific surfliner this friday for a birthday ride down the coast. on the amtrak site they say only 3 bikes per car. has anyone ever been denied because of too many bikes? what do they do if you show up with a group too big? The conductors remind cyclists 3 bikes per car even before the train arrives. Each train car has 3 bike racks where you can hang your bike. Good luck on the ride I gues you'll be doing the ride during the day. I'd like to join but I maybe working all day and Courteous Mass will be commencing that evening. Advance Happy Birthday Jeff! I may be doing this same ride on either Friday or Saturday. Taking the train up and riding back. Shapps (Bryan): I may be doing this same ride on either Friday or Saturday. Taking the train up and riding back. I wouldn't worry too much. I've never been a spot for my bike. If there is a baggage car in the train set, often times the conductor will have you load the bike in there. You can lay it on or under the racks, then go sit up top. I've done this before. I've found that some conductors will be more reasonable and lenient if one asks in a nice way. Like on the way back from Paseo de Todos when the trolley left us somewhat stranded and we had 6 bikes in one bus (2 on the racks and 4 inside). How about a bat in a plane? In my previous scientific life I worked with bats and we routinely transported animals by plane back home from different places around the world. They were in a little carrier and totally safe. I still can't believe how people freak when they encounter one rather than being fascinated. They are some of the coolest animals ever. Awww.... poor little buddy! He must've been all freaked out! Poor little dude, getting swatted at with a newspaper. Just had to post this, haha. McLovin and I are going to Carlsbad tomorrow and were pretty stoked about catching the Coaster up there... but the last train from Oceanside seems to be at 5:40pm... am I reading this right?!? There are still trains from SD to Oceanside up till 7pm (getting to Oceanside at 8pm or so) but if you're traveling the other way you have to wait till the 6am train?!?! I am baffled! Not a lot of options (for our schedule) for taking the Amtrak train for Oceanside either. They don't want to compete with AmTrack. And that last southbound train? It misses the Metrolink coming in from OC by minutes. NO ONE who actually uses these systems, manages them. ...actually there is a 5 min difference on the last OC train. The Metrolink train arrives at 535pm and the Coaster leaves at 540pm. I pick my wife up there sometimes and there is herd of fast moving commuters rushing to change trains. Not much time to make the transition. There are 4 later Amtrak trains but the price is double. But only from Oceanside or Solana Beach. Not optimal service for sure. There is the 101 bus route but even that doesn't go particularly late. The last bus doesn't even go south of Encinitas. It seems they are aware of the problem and attempting a fix. More likely, this is related to the attempted takeover of the Pacific Surfliner route that Jerry Brown just signed a few bills about. You can read more on the California High Speed Rail Blog here, but I would caution you from reading too far into the comments on their site: apparently rail and transportation advocates make bike advocate rhetoric look tame. michael_s: ...actually there is a 5 min difference on the last OC train. The Metrolink train arrives at 535pm and the Coaster leaves at 540pm. I pick my wife up there sometimes and there is herd of fast moving commuters rushing to change trains. Not much time to make the transition. Right. With a bike in tow, no way to buy a ticket and make it work. Crazy. Actually, many TVM's have the ability for ticket purchases like these. Check with Metrolink and Coaster to see what options you have. sd_mike: Actually, many TVM's have the ability for ticket purchases like these. Check with Metrolink and Coaster to see what options you have. Pardon my ignorance... what is a TVM? I've tried to do the vending thing in o'side. Since you have to take the bike thru the underpass, there isn't enough time. Happily Bromptoning Amtrak to LA for the Furnace Creek 508 start (crewing not riding) right now. ^^ Yes, I was wondering about your bike because you've been an active poster with regards to taking your bike on trains and it just struck me as weird that on their website they had that note. 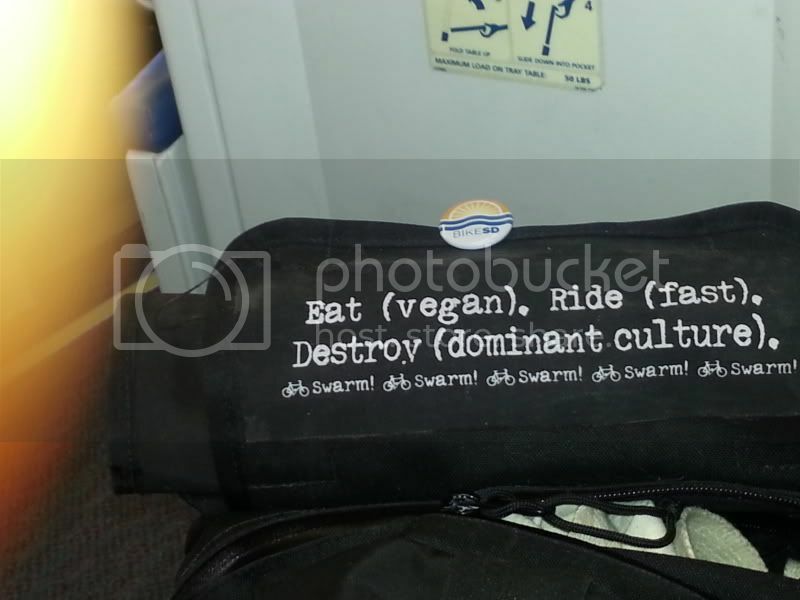 Cecil: Happily Bromptoning Amtrak to LA for the Furnace Creek 508 start (crewing not riding) right now. Had to google it... sounds like a cool race! There were so many bikes on Metrolink today for cicLAvia. Metrolink advertised only 17 bikes on the Bicycle Cargo car but we counted 37 on the car we rode in. Plus there were 3-4 bikes on the regular cars and more on the other Bicycle Cargo car. They had two staff on hand to organize bikes according to destination which made getting off the train easier. The staff also had a clicker counter to keep count of the bikes per car. So hopefully, next time around there will be more allocation of space for bikes. This topic spawns a lot of different threads it seems. 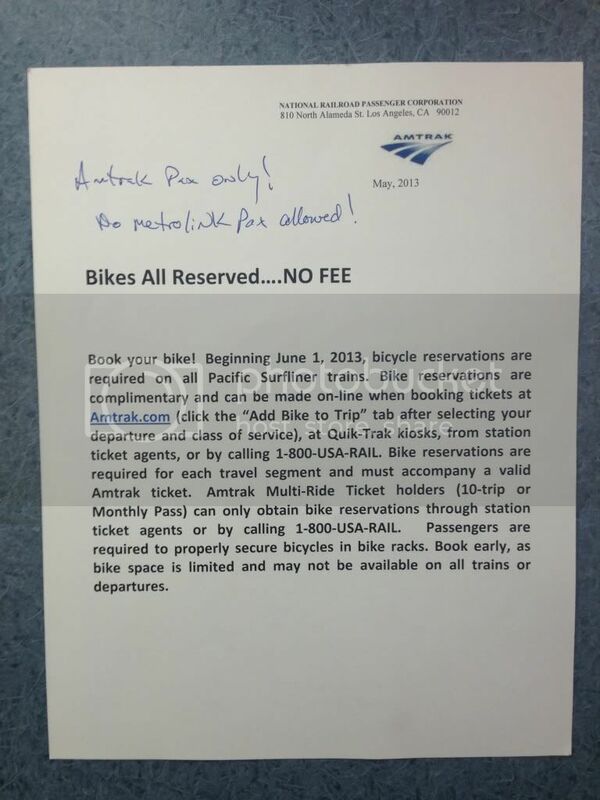 Motion to make it a "sticky"
So... have any bike commuters that commute regularly on the glorious Caltrans AMTRAK Pacific Surfliner called in to get their twice daily reservations to bring bikes onboard the train? Do we need to do this once daily, twice daily, or can we just block the entire month? I'm getting ready to schedule this for the month of June; however, driving is looking like a much better option as there is a surplus of very nice covered parking available for my car that does not require any reservations or fees. Checking the website, there is now a button for reserving a bike space on the Surfliner. It doesn't show up on every booking option (i.e. when transferring between bus/train or Coast Starlight-to-Surfliner). My presumption based upon this is that you will only be able to reserve per segment as you book, not block-reserve in advanced, similar to having a reserved/business-class ticket. Thanks, Geoff. I see the option now for the single ticket purchases. Looks like my monthly pass requires individual reservations. That's OK. I've decided to join the not so Courteous Masses on our freeways and just drive to the station. I'll take free parking over extra fees and reservations anytime. I just don't get how they would take away the "rail2rail" option for cyclists when there are no additional costs. I haven't had much experience with rail2rail. Amtrak goes where I need and gets there fastest. LOSSAN R2R leaves a lot to be desired from what I've seen according to their schedule and heard from other multi rail users. On the plus side, I was able to use Caltrans AMTRAK (with reservations, of course) to take my Surly Big Dummy cargo bike into work so I have something for riding to the occasional offsite lunches, market runs, doctors appointments and on those days when I just need to go for a bike ride. It fit very well in the bike car by just bungy strapping to the hand rail near the door. It also fit nicely on the Green Line trolley. 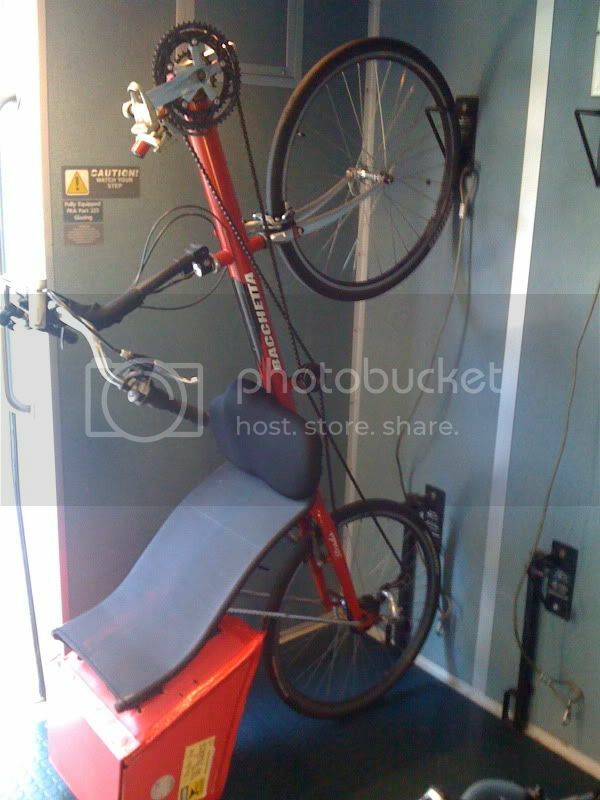 Haven't tried the vertical bike racks I used to see on some Pacific Surfliner cars; however, it seems like it would fit well enough if one had sufficient upper body strength to lift a 45 lb cargo bike. Anyone else have success using multi-modal transport for less sporty rigs? *So I'm told. I haven't been on the single level train since the new policy. Thanks, VeloCafe. The vertical rack areas on the Pacific Surfliner trains seemed to be used more for transporting luggage than bikes. I never felt comfortable recommending these racks as the bikes had to be left at the door and the riders had to sit on the second level where the bikes could not be monitored. FWIW, if you're on Amtrak often - sign up for Amtrak Guest Rewards. 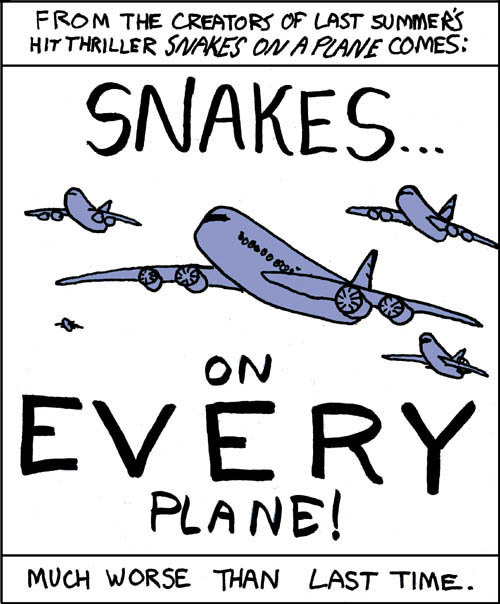 You'll get free trips quite easily. What if you could use your Compass Card like a debit card to speed the purchase of your transit pass? Let's give them every reason to move forward (quickly) with allowing stored value on the Compass Cards. It's a great idea who's time is overdue! The new Caltrans AMTRAK anti-bike to work policy on the Pacific Surfliner has really worked out well for me. As a daily commuter and monthly pass holder, found I could either call in twice a day for bike reservations and then arrive early at the station to pick up the reservation or I could just skip the whole process. Now I drive to the station (love that reservation free no permit required no cost parking) and on the other end I am allowed to participate in our company van pool to get to/from the station. So instead of cycling and having to go through all this, I arrive at work without any extra hassle and no extra fees. Thanks to Caltrans AMTRAK, my new bike-less commute adds 4 extra motor vehicle trips per day over an already over stressed freeway interchange at my destination along with a vehicle idling in the parking lot until I arrive. I do get concerned about the not so considerate masses I am now joining on our freeways here in San Diego during my drive to/from the train station, but this is a whole lot simpler. gottobike: The new Caltrans AMTRAK anti-bike to work policy on the Pacific Surfliner really worked out well for me. I found I could call in twice a day for bike reservations and then arrive early at the station to pick up the reservation, or I could just skip the whole process. Now I drive to the station (love that reservation free no permit required no cost parking) and on the other end, I found I could participate in our company van pool to get to/from the station at work. So instead of cycling and having to go through all this, I arrive at work without any extra hassle. My new commuter program, thanks to Caltrans AMTRAK, adds 4 extra motor vehicle trips per day over an all ready over stressed freeway interchange at my destination along with a vehicle idling in the parking lot until I show up, but it sure is a lot easier for me. I do get concerned about the not so considerate masses I am now joining on my drive to/from the train station, but is a whole lot simpler. This needs to be tweeted at Amtrak. I don't know how the twitters work. I'm sure someone here does. To be fair, some of my best bicycle adventures have been via AMTRAK and I always appreciate the great AMTRAK employees. I often tell people if they really want to explore the USA, all they have to remember is (800) USA-RAIL. But now I have to exclude recommending AMTRAK for cyclists, especially bike commuters. I'm not a daily Amtrak commuter. I only have to go that far north 3-5 times a month. I buy my tickets online or on my smartphone (browser not app). Click the appropriate box to "add bike" and that's it. I've never had to call in for a reservation or go into the station to pick anything up. It's all right there on my phone. This is certainly a few unneeded steps - I'd love to just walk on - but it's not enough to make me drive. Only once did I run into a problem where they already had too many bikes. The conductor opened up one of the mid baggage cars and let me and a two others place our bikes there. He did say most conductors would help out like he did if they have the extra baggage area but warned the next conductor might not so not to expect it. The times I've had to have my bicycle put into the "cabbage car" on the single level equipment have been uneventful. The conductors were quite helpful both times I need them that day. +1 to helpful conductors, although every single one has reminded me that "some other conductor might not be so nice." Who are these villainous conductors that cackle as they hurl your bike onto the tracks? A folding bike, secure bike parking at all stations, and the start of bike-share programs seems like reasonable next steps. Bike-heavy cities like Copenhagen and Amsterdam have restrictions on bikes on board, and those are all things that are used for their train commuters. The folding bike of course appeals to me as a Brompton owner. In fact, didn't both Andrew Ritchie and Alex Moulton start their businesses because they saw the folding bike as the solution to urban transit? If I were a daily Amtrak commuter I would without a doubt invest in a Brompton and carry it on to avoid the hassles.